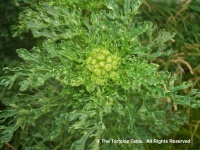 This plant is TOXIC. 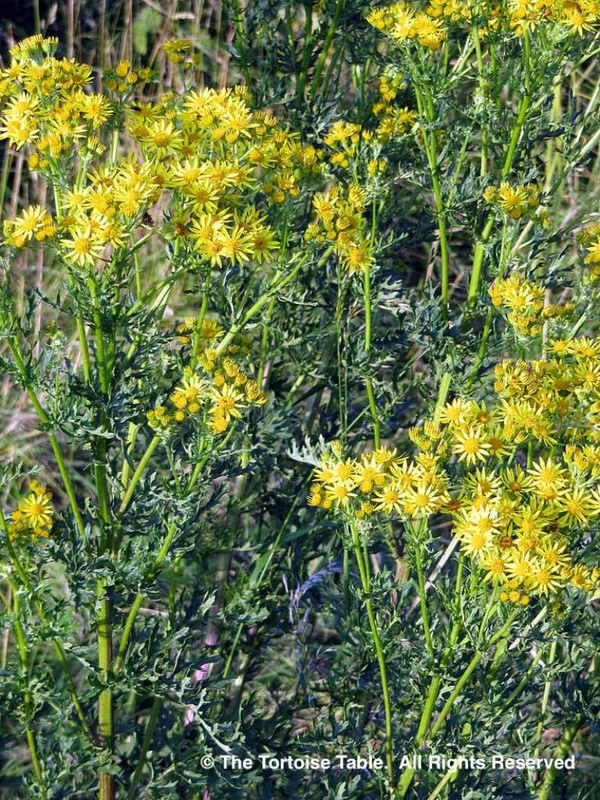 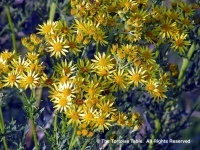 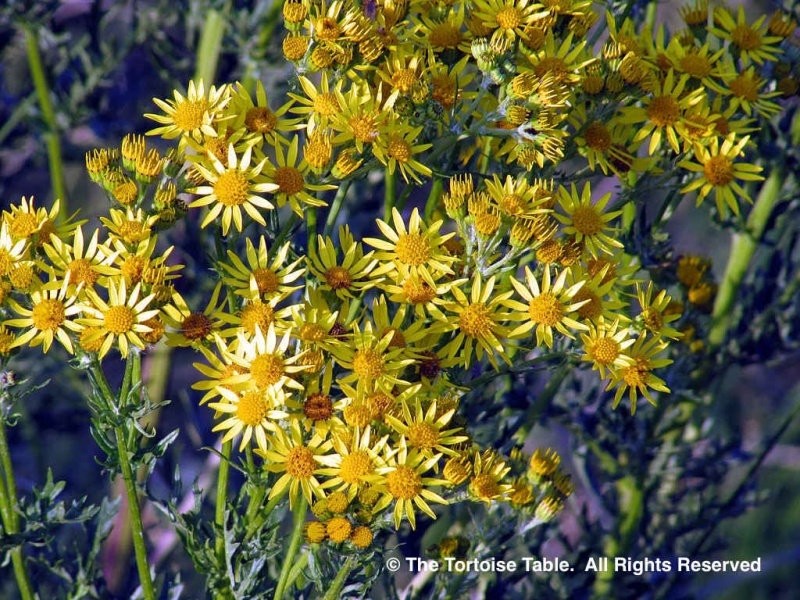 Ragwort contains Pyrrolizidine, an alkaloid which is potentially damaging to the liver. 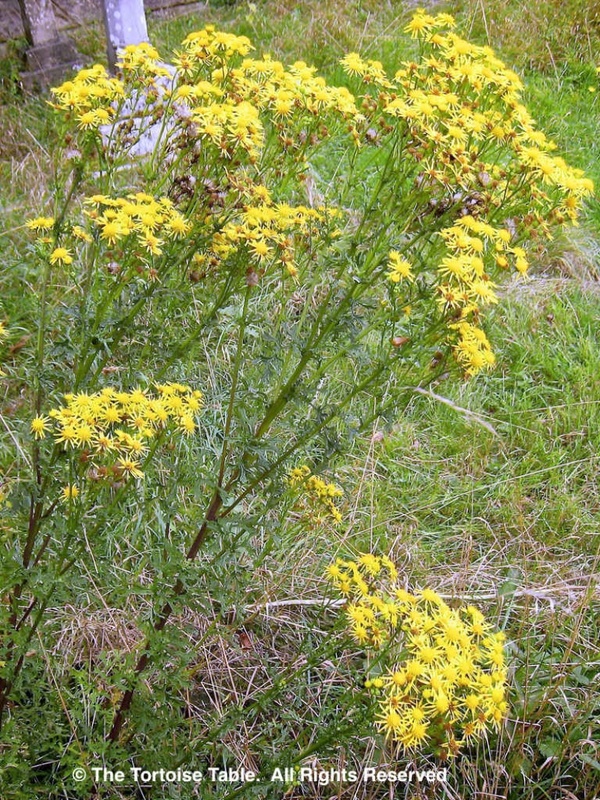 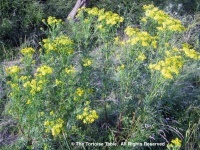 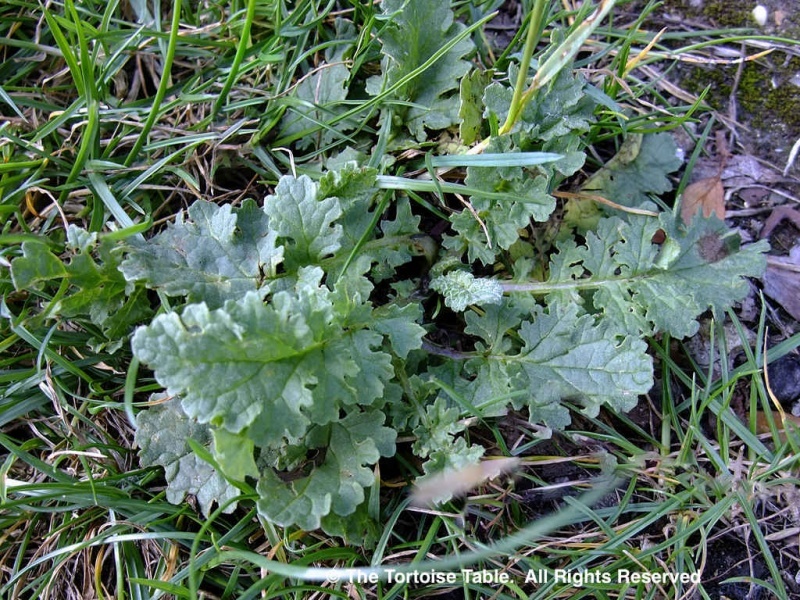 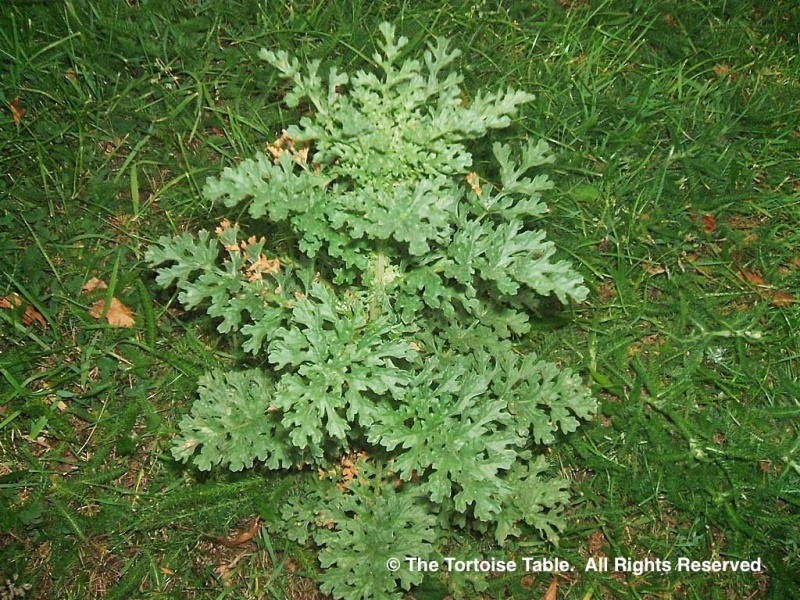 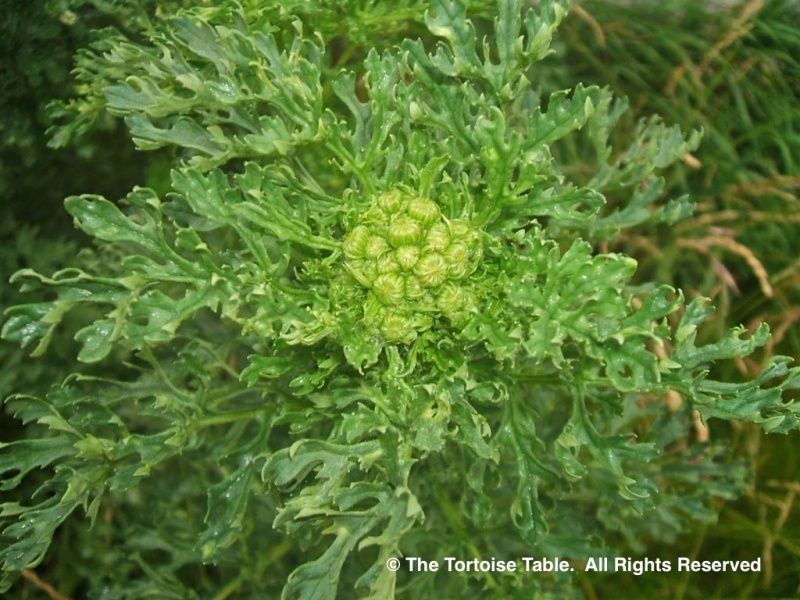 It has been known to kill horses that have ingested sufficient amounts, so make sure you can identify the ragwort species and keep them out of the tortoise enclosure. Ragwort is bitter when alive, which deters animals from eating it, but it loses its bitterness and turns sweet when it dies, and so presents an even greater danger then. 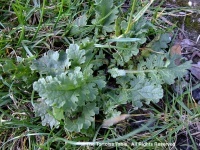 See Groundsel. 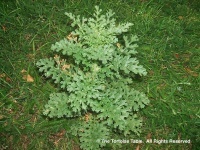 Do not confuse with Ragweed (Ambrosia spp. 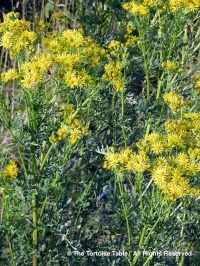 ), which is a different plant.